Product prices and availability are accurate as of 2019-04-18 07:48:18 UTC and are subject to change. Any price and availability information displayed on http://www.amazon.com/ at the time of purchase will apply to the purchase of this product. 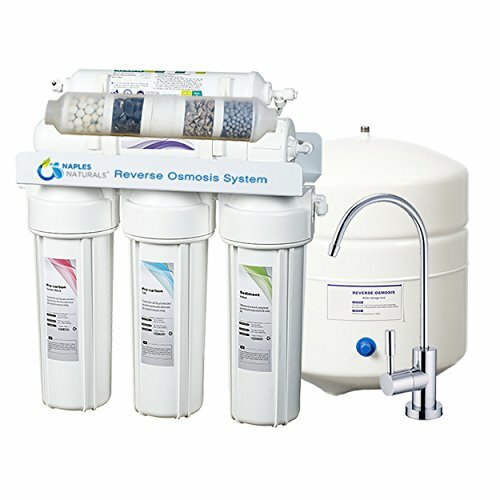 The 5-Stage Reverse Osmosis Drinking Water Filtration System is a 5 stage reverse osmosis drinking water system that would make a wonderful addition to your home, not only for your dog but for you and your family as well. This product will help to remove sediment, rust, sand, large particles, chlorine, unpleasant tastes and smells and it helps in blocking bacteria and pesticides! As a final touch, it helps to reintroduce essential minerals, like calcium, potassium and magnesium, back into the water. In Chapter 8 of the Dog Cancer Survival Guide, Dr. Dressler provides information on cancer causes such as pharmaceuticals, fluoride and asbestos in the water and recommends filtering your water not only for your dog's safety but for yours as well.